This Black Friday, AdvantageCARE is an even better deal than ever! You can get 3 oil changes, 3 tire rotations, and 3 car washes for only $75 with the special Black Friday savings! You can also get 25% off synthetic and diesel services for Black Friday weekend only. Also, can also purchase AdvantageCARE as a gift for friends and family! *$75 prepaid oil change is for Conventional Oil Only. 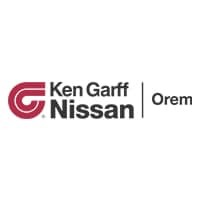 Offer not valid at the following Ken Garff Locations: Audi Lehi, Porsche Lehi, Ferrari/Maserati of Salt Lake City, Mercedes-Benz of Salt Lake City, Alfa Romeo of Salt Lake City, Jaguar Land Rover of Salt Lake City, Land Rover Centerville, Ken Garff Volvo. Other exclusions may apply. AdvantageCare not available on all vehicle model years and additional cost may incur for some models. See store for complete details. Specialty packages include semi-synthetic, synthetic, and diesel. All contracts expire 24 months from date of purchase. Offer available Friday 11/23 – Monday 11/26.